Last weekend, I visited Beau, who had just moved into a new place. We had a pretty great weekend, the perfect balance between productivity and relaxation. I usually leave early Monday morning to come back to my city, but when we woke up to go to work, we discovered we were under a Level Three Snow Emergency. For my fellow southerners who have no idea what that means, a Level Three means the roads are closed to non-emergency personnel. So it would have been illegal for me to drive home. I ended up snowed in until Wednesday morning, when I was finally able to get back. Last week's Sunday Shoutouts were all about the New Year. Today will include a few more inspiring New Year links, among others. Most Intersectional: NinjaCate aka Batty Mamzelle is the primary reason I'm trying to be a more intersectional feminist. Her writing never fails to teach me something new. 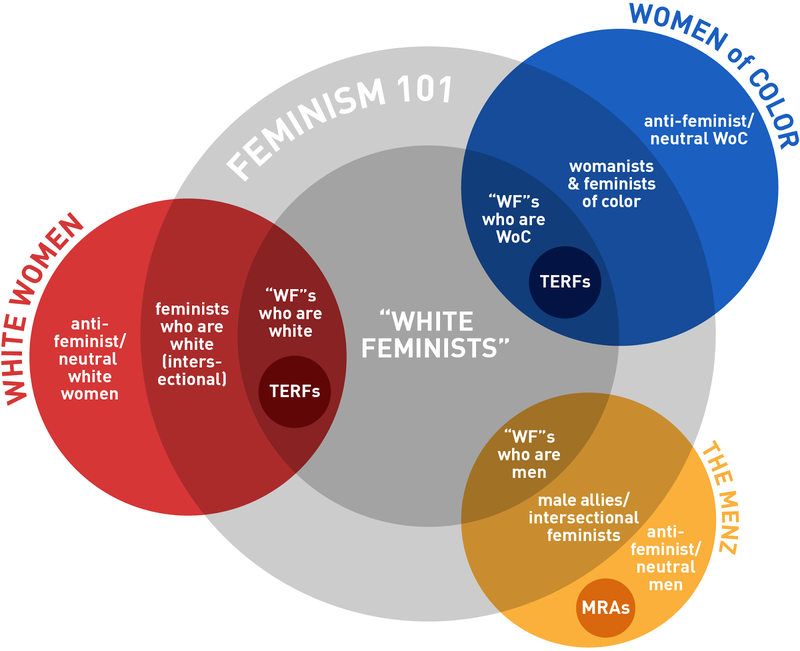 A few days ago, she wrote a straightforward post called "This Is What I Mean When I Say 'White Feminism.'" It included the following handy (if limited*) diagram. Most Thought-Provoking: Betsy shared her thoughts on remembering the past and learning from our mistakes. Her post "Regrets and Blank Slates" reminds us that we can't really start fresh with the New Year, as much as we like to think the past is just in the past. Best Feminist New Year's Resolution: I love this idea that we should adopt feminists. Those of us who have been feminists for a long time should guide some newbie feminists. Our society is clearly failing young women. That young men are sufficiently comfortable in their behaviour that they think nothing of taping and distributing their crimes shows just how little society values young women. But we are also failing young men because we keep permitting this cycle to repeat. Perhaps these boys act like they did nothing wrong because they have absorbed the convoluted messages of a culture that reassures them that they haven’t. What have you read recently? Share your links in the comments! 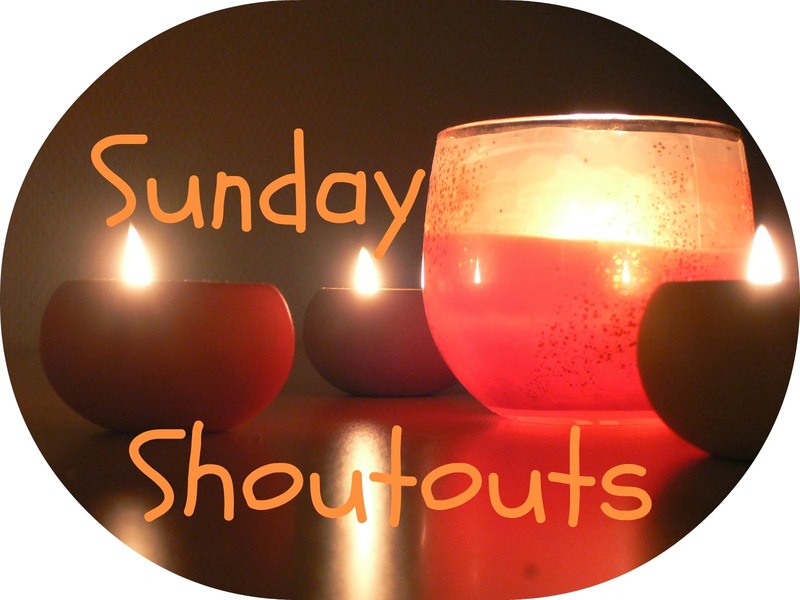 Also, just FYI, if you've written something brag-worthy, you can share your own post with me, and I'll consider it for next week's Sunday Shoutouts. *Please don't debate the limitations of the graphic in my comments. They will not be approved. If you follow the link, NinjaCate has explained the graphic's limitations in both the post itself and further in the comments. I wonder if you watch Downton Abbey and if you happened to catch this week's episode? Apparently, a lot of viewers were upset with what happened to one of the main characters, Anna--not just by the actions taken against her but that it spoiled her happy ending with Mr. Bates. I've never actually seen Downton Abbey, although it's been recommended to me.